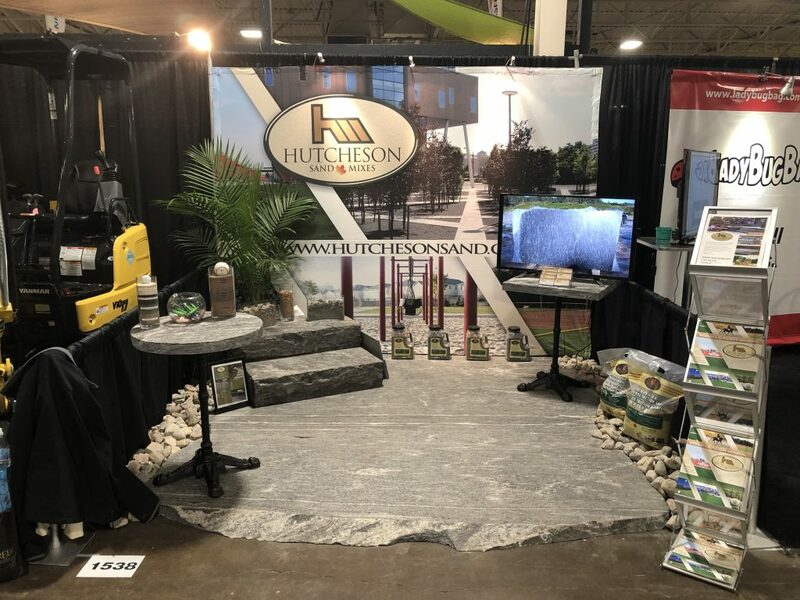 After the holidays are over and the new year has begun the Landscape Ontario trade show is always the first one attended by the Hutcheson sales team. This year was completely different as we had a new line of business to display on the showroom floor. Custom cut granite flagstone and stair treads were going to be the main focus, accompanied by our full line of landscaping products. The booth turned out to be a success as we all shared positive feedback from current and potential clients. All of us at Hutcheson’s would like to thank everyone who stopped by to say hi and we look forward to see everyone again next year!! !